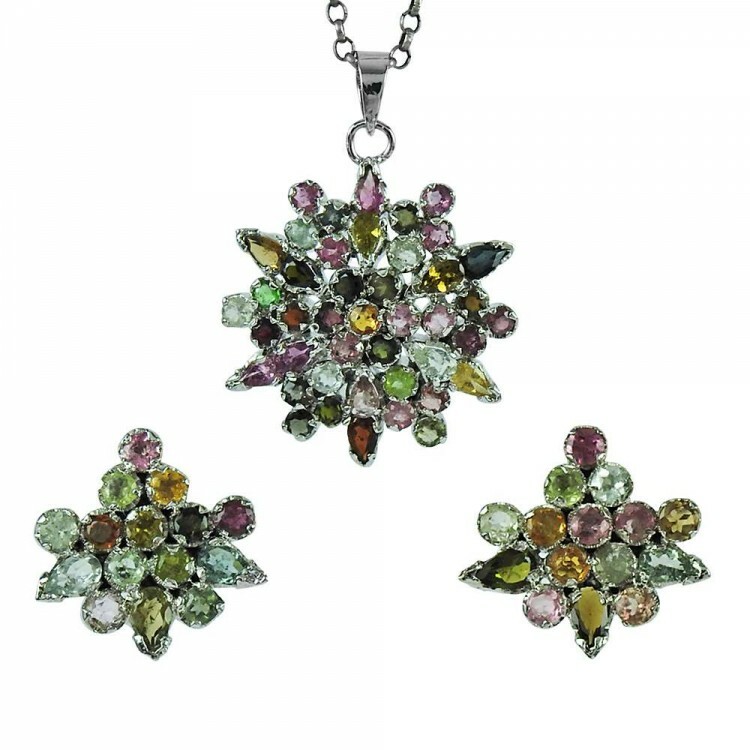 925 Sterling Silver Jewellery Charming Tourmaline Gemstone Earrings and Pendant Set Supplier India. 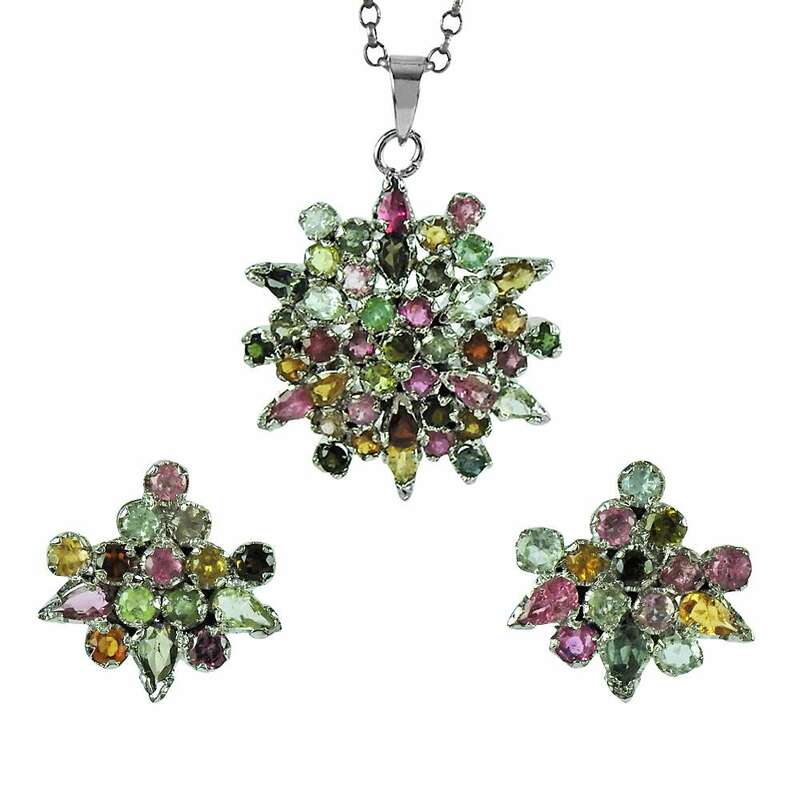 Gemstone: Tourmaline, Colour: Pink, Red, Green, Blue, Brown, weight: 22.1 gm, Size: P-4.4 x 3.1,E-1.8 x 1.8 cm.Unique handmade 925 sterling silver Jewellery Set. Wholesale Silver Jewellery. Only one set ready to ship.